The Uganda StartUp Cup is part of a global family of business model competitions designed to provide community-based long-term support to participating local entrepreneurs during their early growth phase and is a Featured Event of the Global Entrepreneurship Week. 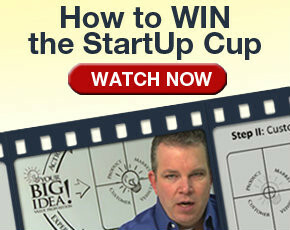 StartUp Cup is also an official partner of the U.S. Department of State’s Global Entrepreneurship Program. The cup is designed with a powerful business model coaching approach that supports entrepreneurs to accelerate building and testing their business models with customers to improve the likelihood of generating revenue and building a viable business model. •	Sponsors through taking part on the Uganda startup cup will increase their company visibility; a unique opportunity for increased corporate identification, exposure and brand awareness. •	Sponsors will engage upcoming and seasoned entrepreneurs who are known to be brand loyal. •	Sponsors will reach an international platform during the global entrepreneurship week; a global event that will be held in November 2016. •	Sponsors who will have online views, as we predict a large number of spectators in Uganda and around the world. •	Sponsors will co-host events press briefs with us. •	Sponsors get an open invitation to take part in our local events.